During wartime, naval blockades were used to interrupt the supply of food and trade between enemy countries. Britain declared the North Sea a war zone and Germany retaliated by threatening to destroy all hostile merchant ships in the seas around Britain. 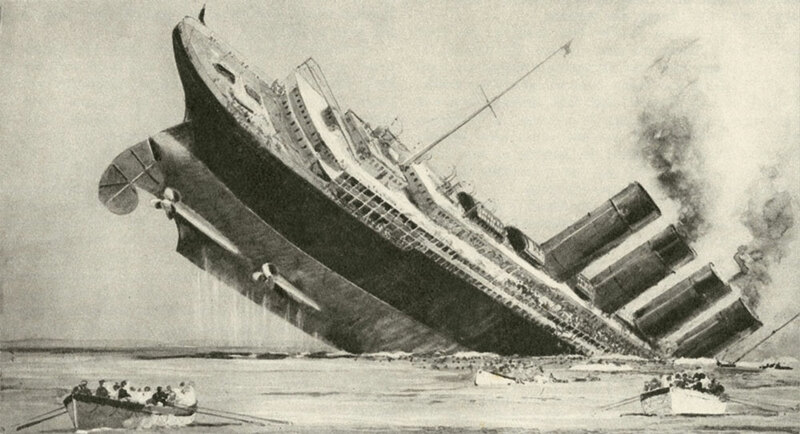 The British luxury liner, the Lusitania, was sailing from New York to Liverpool when it was hit by a torpedo from a German U-boat as it sailed around the south-west coast of Ireland. The ship sank in 18 minutes with a loss of 1,195 on board including 123 Americans. Seven hundred and sixty-one passengers were rescued by boats sailing from Queenstown. 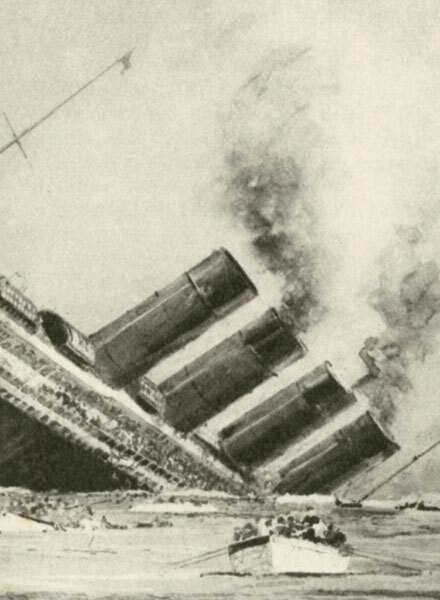 The incident provoked great public outrage as it was seen that the Germans had deliberately targeted a civilian passenger ship. Prior to the First World War, the targeting and sinking of civilian or merchant vessels without saving her crew and passengers would have been unthinkable. Punch cartoon of the sinking of the Lusitania.